Everyone knows that websites can not be promoted without backlinks, certainly not in competitive areas. So yes, as far as I'm concerned, as long as it's not proven otherwise - there's no such thing as SEO without backlinks. That being said, backlinks fall into three categories: good, bad and ugly. The Internet is evolving all the time, and black hat SEOs are becoming more and more sophisticated. Therefore Google is forced to make frequent changes in their algorithm, making the issue of building backlinks, one of the most unstable (but fascinating) internet marketing field. Massive Targeted Traffic to your website! Keeping a good mix of backlinks over time, while staying familiar with the most recent changes and improvements made by Google, is the key to success. Also, building a strong link profile will help you deal more with the negative SEO attacks. An important note: even if you have a site with super quality content, no one will rush to link to you naturally, and even if it does, it can take a lot of time. Therefore, Google actually forces you to build links proactively, especially when working with customers that need results. Backlinks, also called incoming links and inbound links, are generated, when websites links to your website. 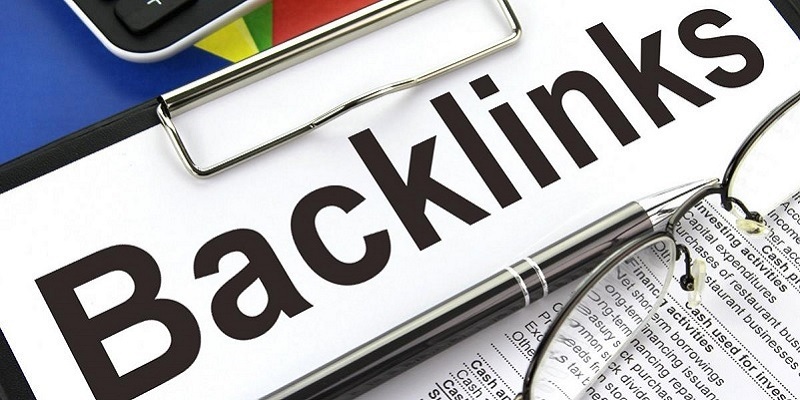 Why backlinks are so significant factor in SEO? Backlinks are particularly valuable for your website, because they represent an indication of faith, from websites to your site. In essence, backlinks to your website, are an indications to Google, that other websites endorse your site. If multiple websites links to your website, Google can conclude, that your website is worth linking to, and that create a favorable effect on a your website ranking position. Where to build backlinks to your website? Building Backlinks in Niche indexes - Niche indexes are indexes that focus on a specific field. Most of them (but not necessarily) will be beeter than general indexes. In some cases, getting a link from such an index will be part of a monthly payment package, but not always. In some cases, backlinks from niche indexes, can contribute to the your site's links profile. Backlinks from Social Networks - Almost all links from social networking sites are nofollow links, but did you know that nofollow links are important for diversifying your overall backlinks mix. Besides that, social links have an important role of their own - they bring traffic, and give social signals to Google, which is a paramter by itself. Footer Backlinks - Footer Backlinks are links that replicate throughout the a website pages. Such links are common as credit links. Although Footer Backlinks are legitimate links, most of the time Google treat them as one link. Portfolio sites - Such sites are abundant on the Internet, and are also often classified into specific niches. In general, you can add your own portfolio to those sites, in a particular area (photography, architecture, graphic design, etc. ), of course with a personal area where your contact details can be found (including a link to your site). Some of these sites have a dofollow links and some do not. A good example for a portfolio website is Bēhance. Testimonials - All organizations, of all shapes and sizes, love flaunting the tributes they've gotten from their customers. Truth be told, you'll see that most business locales grandstand a couple of select tributes on their landing page, and a couple have entire pages devoted to client audits (which dependably have a connection on the landing page — more often than not something like "client examples of overcoming adversity"). So how would you transform this into a simple technique for procuring quality backlinks for your site? The initial step is to take a seat and make a rundown of items and administrations you've utilized as of late. A decent general guideline is to think about those you've utilized routinely (or begun utilizing) in the course of recent months. This can take some time, and will probably be a progressing procedure, however it's by a long shot the longest piece of this technique. Next, you'll need to see regardless of whether their destinations have a tribute page. On the off chance that they do, spend a couple of minutes reviewing a short, positive survey of your experience utilizing the item or administration, and contact them. Most destinations have a criticism highlight or will incorporate an email represent tributes on their contact page. Furthermore, that is it! You won't need to request a connection on the grounds that relatively each and every time they'll incorporate it naturally — just to demonstrate that you're a genuine individual. Make certain to say that they're permitted to utilize your tribute on their landing page, as that is the place your connection will get the most presentation.